I'll stop there; too much exposure to my tummy could prove dangerous to some of you...you know who you are. You are so Tortilicious Deli! Heehee...we hear the thud of lots of mancats! 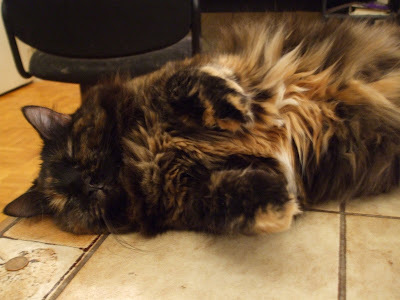 That is indeed a very floofy Tortie tummy ~ so sweet! Beautiful! Momma is sending you virtual tummy rubs over the internets waves. . . .
Deli, your tummy is too much for us to take in all at once! This was just what we needed, thank you! 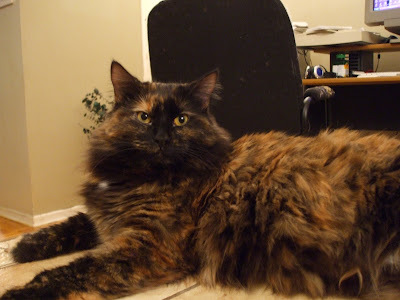 Oh what wonderful tortie floof. 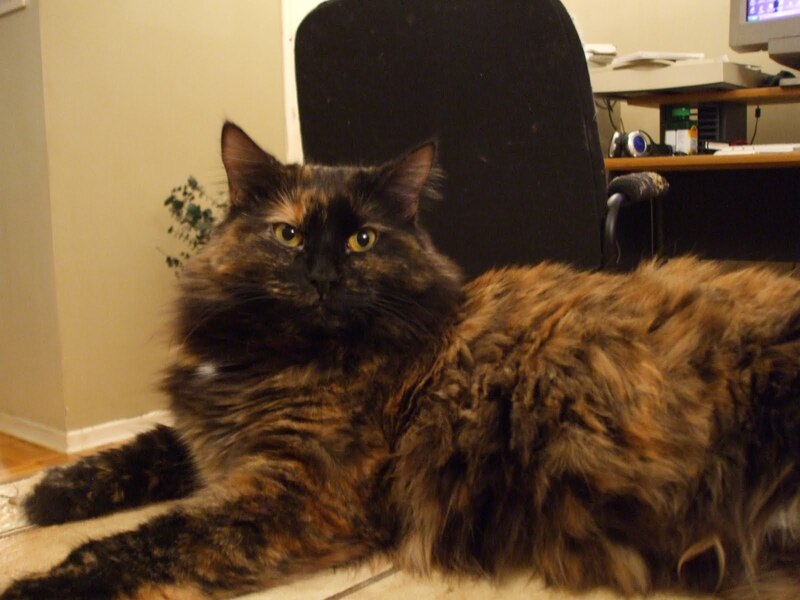 Delilah, that is some fabulishus floofs! No need to stop - we can take all you've got! How delightful, Delilah! Your tummy is so colorful! Yay! 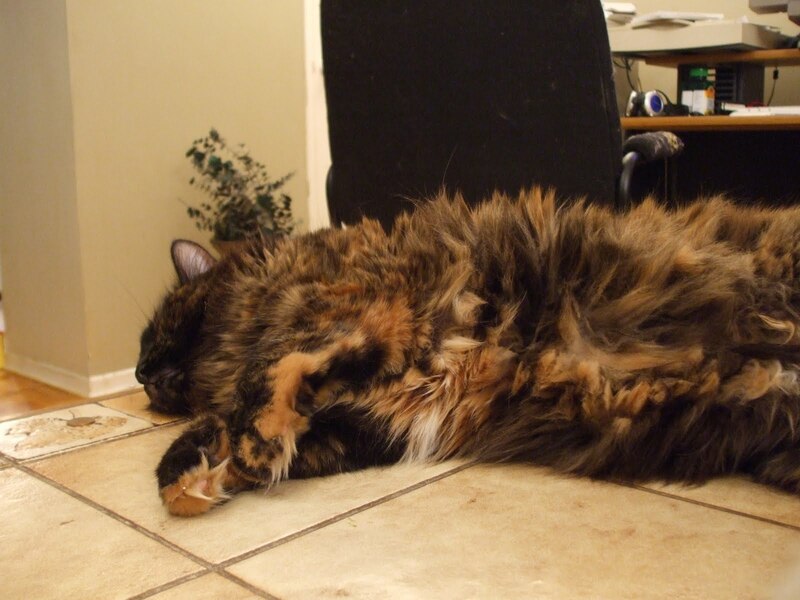 Adorable, floofy tortie tummy! What a great treat! Oh wow! You made our day, Deli!! You are such a beauty and those tummy pictures are flooficious! 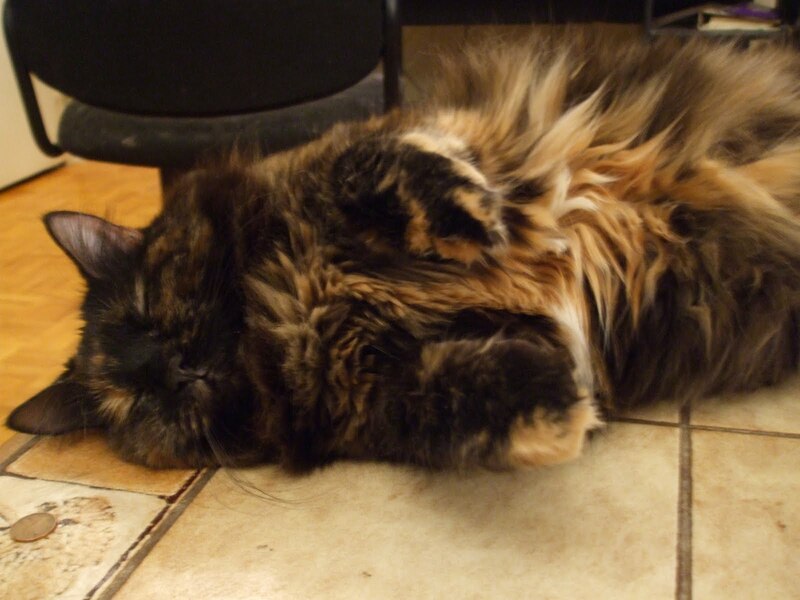 Floofy tortie tummy eye-treats. What a beautiful sight. Mom is getting tummy overload! Nothing better than a tortie tummy. I should know!